CHARLESTON, W.Va. (AP) — Officials are warning West Virginia residents to look out for scammers who pose as the Social Security Administration. CHARLESTON, W.Va. (AP) — A bill that would transfer control of a unit that fights Medicaid fraud to the West Virginia attorney general's office has been sent to the governor. CHARLESTON, W.Va. (AP) — West Virginia's attorney general is joining with others around the country to support federal legislation to help cut down on illegal robocalls. CHARLESTON, W.Va. (AP) — The West Virginia Senate has passed a bill addressing banking services for the state's medical marijuana program. MARTINSBURG, W.Va. (AP) — A superintendent is retiring from a West Virginia county school district where a teacher and two aides were accused of verbal abuse. CHARLESTON, W.Va. (AP) — West Virginia will receive $302,500 as part of a multistate settlement with Fiat Chrysler over emissions cheating allegations. CHARLESTON, W.Va. (AP) — The West Virginia attorney general's office is sponsoring a contest among schoolchildren to promote awareness of prescription painkiller abuse. Attorney General Patrick Morrisey says in a news release the "Kids Kick Opioids" contest in its third year is open to elementary and middle school students. It can include poems, drawings, letters or anything that promotes awareness of painkiller abuse. State Attorney General Patrick Morrisey's office said in a news release it is distributing more than $235,000 to more than 5,000 consumers. CHARLESTON, W.Va. (AP) — Three months after a ruling halted the impeachment process involving most of West Virginia's Supreme Court justices, the state Senate president is seeking a second opinion. CHARLESTON, W.Va. (AP) — West Virginia residents affected by a settlement with a large mortgage servicer have about six more weeks to file a claim for their part of the settlement. The West Virginia attorney general's office said in a news release that a $45 million settlement with New Jersey-based PHH Mortgage Corp. resolved allegations dating from 2009 through 2012. The settlement was reached with 49 state attorneys general, the District of Columbia and 45 state mortgage regulators. CHARLESTON, W.Va. (AP) — A West Virginia home improvement contractor is accused of never starting fencing projects despite pocketing more than $11,000 in down payments. A lawsuit filed by Attorney General Patrick Morrisey seeks to block Precision Fence and Floors operator Adam Parsons from doing future contracting work in the state. It also seeks restitution and penalties. CHARLESTON, W.Va. (AP) — Blasting West Virginia Attorney General Patrick Morrisey for a "blatant disregard" of state public records laws, a judge has ordered the U.S. Senate candidate to release correspondence with opioid manufacturers. CHARLESTON, W.Va. (AP) — Threatened with a lawsuit, West Virginia's secretary of state has agreed to buy newspaper advertisements publishing the full texts of two proposed constitutional amendments on November's ballot. CHARLESTON, W.Va. (AP) — West Virginia's attorney general has filed a lawsuit alleging a contractor accepted payment for work without the required license and sometimes never started the purchased work. The lawsuit seeks a court order to block Barbour County contractor Thomas Plumbing Heating & Air Conditioning, operator Oscar Thomas and his wife, April Thomas, from home contracting work. 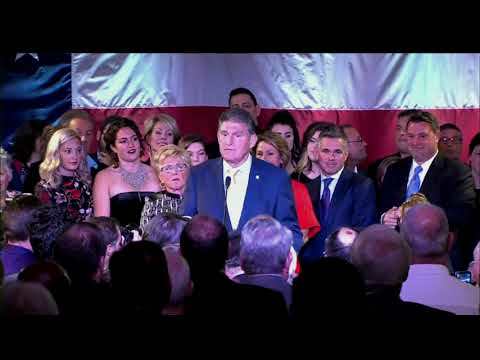 CHARLESTON, W.Va. (AP) — The U.S. Senate campaign of Republican Patrick Morrisey says he has accepted an invitation to debate incumbent Democrat Joe Manchin on Nov. 1. Morrisey's campaign says in a news release that the state attorney general has accepted an invitation from the West Virginia Broadcasters Association. Manchin campaign spokesman Grant Herring says Manchin had already accepted the group's invitation. CHARLESTON, W.Va. (AP) — West Virginia Attorney General Patrick Morrisey has filed a petition seeking to enforce his subpoena against a used vehicle dealership. Morrisey's office says in a news release a petition was filed Tuesday in Hancock County Circuit Court against Emuil Byard Jr., owner of JB Rebuilt Auto Sales of Chester. The petition asks that the dealership be barred from selling vehicles until Byard complies with the subpoena to turn over information relevant to Morrisey's investigation.